Many people who inherit an IRA think they will roll the decedent’s IRA into their own. This is permissible in some cases and prohibited in others. To complicate things even further, sometimes when it is permissible, it is still the wrong thing to do. So how do you decide? One option is to take all the money out at once. For some people, this can be quite a taxable event. If you don’t feel like paying a large amount of taxes, read on. The first thing to determine is are you the spouse of the decedent. If you are the spouse, you have more options. 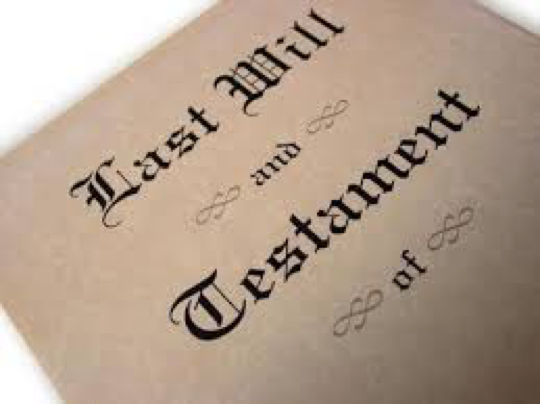 If the decedent is your parent, child, sibling, relative, or friend, then you are a non-spouse beneficiary and must go by those rules. 2. RMDs – Required Minimum Distributions that start at 70½ will be based on your age. This can be a big benefit if your spouse was older. 3. Protection from creditors – Inherited IRAs are not protected from creditors. By rolling the money into your own IRA, you gain creditor protection. 1. Age 59½ - If you are not yet 59½, you might think twice about rolling the IRA into yours. What if you need the money? You will be penalized 10% if you take the money out before age 59½. Instead, if you convert it to an inherited IRA, you will have the ability to take money out of the account without the 10% penalty, even if your spouse was younger than 59½ at passing. 1. Take distributions within 5 years of the date of death - This can be all at once or over the 5 years. 2. Take distributions over your lifetime – This is a great option if you don’t need the money now. You can take a required minimum distribution (RMD) based on your life expectancy. If the decedent was over 70½, then you have the option to distribute the IRA over the longer of the life expectancy of the decedent or yourself. Because of this rule, a child or grandchild can stretch the IRA for quite a few years! Inheriting an inherited IRA can be even more complicated. Consider this example. Father passes away, and the daughter inherits the IRA. She rolls it over into an inherited IRA and starts distributions over her lifetime. Then the daughter passes and her son becomes the beneficiary. Can the son stretch this IRA? The answer is no. He can continue the schedule that his mother was on, or take it all out without penalty. IRAs can only be converted into Inherited IRAs once. If you have questions about inheriting an IRA, give our office a call at (702) 870-7711 to make sure you have all the information you need.